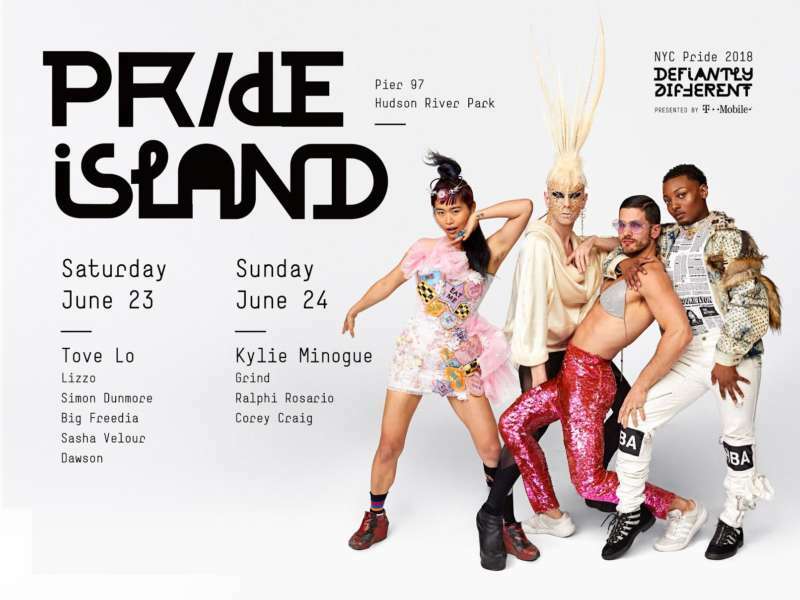 NYC Pride is bringing their music and culture festival Pride Island back this year featuring top performances by Kylie Minogue, Tove Lo, Lizzo and Big Freedia from Saturday, June 23 to Sunday, June 24, 2018. The fun is taking place at a new location this year — Pier 97. Additionally, the Saturday edition of Pride Island welcomes a live performance from the “hair toss, check my nails,” rising star, Lizzo. Simon Dunmore, will play a special set for an NYC Pride first. Also, not to be missed, a performance by winner of season nine of RuPaul’s Drag Race, Sasha Velour. On Sunday, pop superstar, Kylie Minogue, takes center stage on the closing night of Pride Island. Known as the “Goddess of Pop,” Minogue’s extensive discography includes “Spinning Around,” “Can’t Get You Out Of My Head,” and “All The Lovers,” to name a few of her hits. Minogue’s infectious dance-pop lyrics make her world tours wildly successful. Her highly anticipated fourteenth studio album, Golden, will be released on April 6. Additionally, Grind, Ralphi Rosario, and Corey Craig will DJ live on the last day of Pride Island. Tickets for Pride Island go on sale at noon on Thursday, March 1st at nycpride.org.